20% off B&O headphones and speakers, Samsung and Sony 4K TVs | What Hi-Fi? The eBay offer ends Thursday 31st May 11:59pm. From now until Thursday, eBay is offering 20 per cent discount across tech and motor 'accessories'. 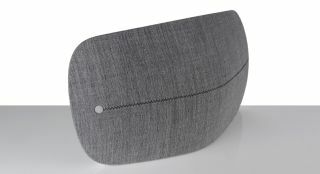 B&O is one of the partaking brands, offering the discount across its BeoPlay catalogue through its official eBay UK store. The discounted products include several wireless and portable speakers, and on-ear and in-ear headphones, including the five-star BeoPlay A6 speaker, and four-star BeoPlay A1 and BeoLit 15 speakers and BeoPlay H6 headphones. The Co-op Electrical UK eBay store is also offering 20 per cent off several products, including Samsung, Sony, LG and Hisense 4K and Full HD TVs; Sony and JVC headphones; and Pure, Roberts, Sony and ViewQuest radios. UK customers can apply the discount by adding ‘PROMO20’ to the eBay UK store checkout, and each eBay account can use the coupon twice. The coupon can be applied to products that cost a minimum of £40, and the maximum discount that can be applied is £50. BBC 4K HDR World Cup 2018 a week away?